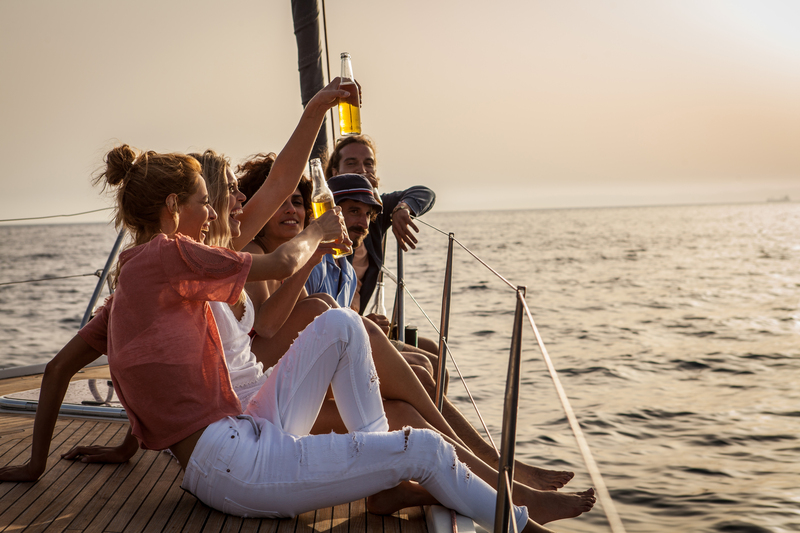 Gather your friends and start your Mykonos Party Tour! Marvellous beach bars and the turquoise-colored waters of Kea and Mykonos islands are waiting for you! Trip checkins are on Saturdays, at 5:00p.m. and you’ll be checking out from your yacht in Mykonos on Thursday, at 5:00p.m. Leaving Athens, you’ll sail along the Greek coastline to the port of Sounio. You can dock and spend the night here and visit the Temple of Poseidon. The temple and its majestic view of the Aegean at sunset are a moving experience. 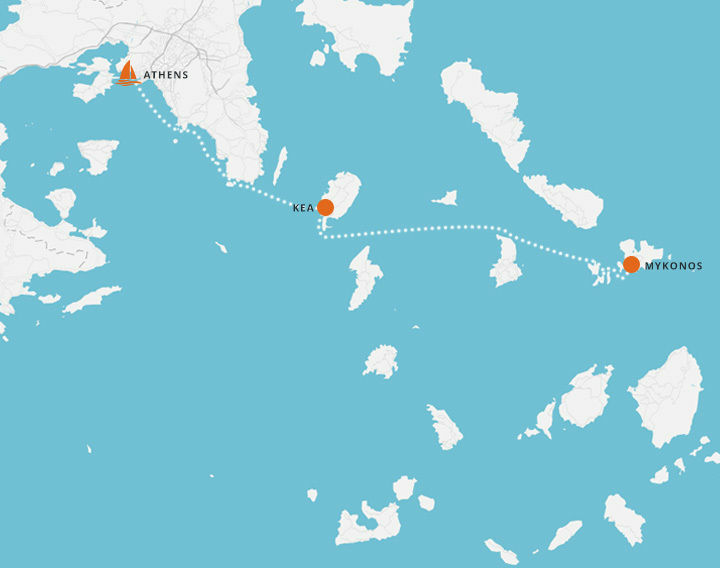 If you want to push on, you can head straight to Kea’s port of Vourkari. Go shoreside to stretch your legs and sample some excellent cuisine, too! Visit our two favorite places in Vourkari – 9 Kores (Daughters) for food and Vinilio Bar for drinks. In the first light of the morning, head northwest to Otzias for a swim. It’s a quiet and sapphire-blue bay sprinkled with taverns and cafes – it’s also Kea’s premier windsurfing spot. If beach bars and summer cocktails are your thing, you’re better off sailing to Koundouros. Koundouros is popular destination made up of a series of beaches and bays. Don’t forget to bring your camera to capture Kea’s traditional stone windmills that overlook the town. Before reaching the most cosmopolitan of Greek islands, you’ll stop for a visit in Greece’s spiritual center of antiquity – Delos. The sea between Delos and Rhenia hides many ancient shipwrecks that divers enjoy exploring. You can also dock your yacht to learn more about the treasures of Delos. The now deserted island has an archeological museum, but it’s also a museum in itself. 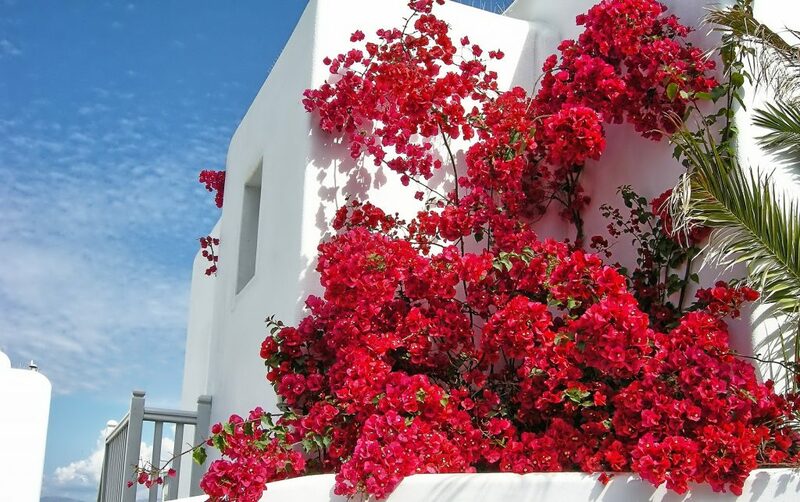 During the summer, Mykonos is buzzing with life! That’s why we’ll avoid the island’s main port and arrive in Ornos late in the evening. Ornos is the perfect base from which to explore Mykonos.There are two great restaurants in Ornos. For old-school Mykonian cuisine, head to Apaggio – for Sushi and modern Greek cuisine in a trendy beach setting, Kouzina is the better choice. Skorpios is a healing-chic experience that’s perfect to collect your thoughts and have dinner. Meals in Mykonos are slow, social affairs that last well into the night. Midnight is where things start to pick up. At Cavo Paradiso it’s not unusual for partygoers to finish the night with an early lunch. At Mykonos’ quieter northern region, Alemagou Beach bar offers an amazing view and excellent food. You can spend all day and night at Paradise Beach. When the sun is up, the beach is the center for watersports and diving adventures. In the early afternoon, the beats get louder and the day’s party spontaneously ignites. Like its sibling nearby, Super Paradise Beach also plays host to the island’s ecstatic beach parties. Want to feel like a million bucks? Head to Nammos – a pricey beach and bar where you might brush shoulders with Hollywood celebrities. Platis Gialos is another large and organised Mykonos beach surrounded by beach bars and restaurants, but it’s also relaxed and family-friendly too. Looking to get away from it all? Elia Beach is quiet and expansive – attracting a wide variety of lifestyles. You’ll find what you’re looking for, but make sure you choose the right spot! Up north, Agios Sostis is a free beach that’s visited mostly by locals and the few tourists that stray from the beaten path. Alternatively, try Ftelia Beach, the organized and laid-back beach that’s also great for families. Often windy, Ftelia is also favourite for kite surfers. thank you for your intereset! We will gladly contact you personally to answer your questions.